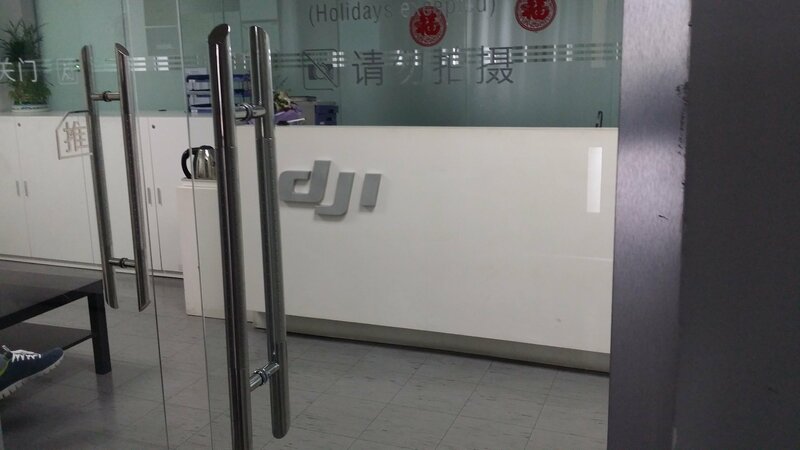 When I got the news that I’d be out of the office for 3 weeks – flying to Hong Kong and then on to DJI HQ in Shenzhen, China I was very excited. Tinkering with Phantom 3s and Inspire 1s, getting the special insider knowledge from the people that designed those aircraft, visiting Asia, and coming away with a DJI certificate – what an opportunity! My Visa was sorted without too much fuss and the date rolled around quickly. I packed my bag and set off to Heathrow Airport. I was running slightly late but I had checked in with Cathay Pacific online so it didn’t matter too much, or so I thought… I arrived to find Terminal 3 closed due to a fire! In a cleaning machine! 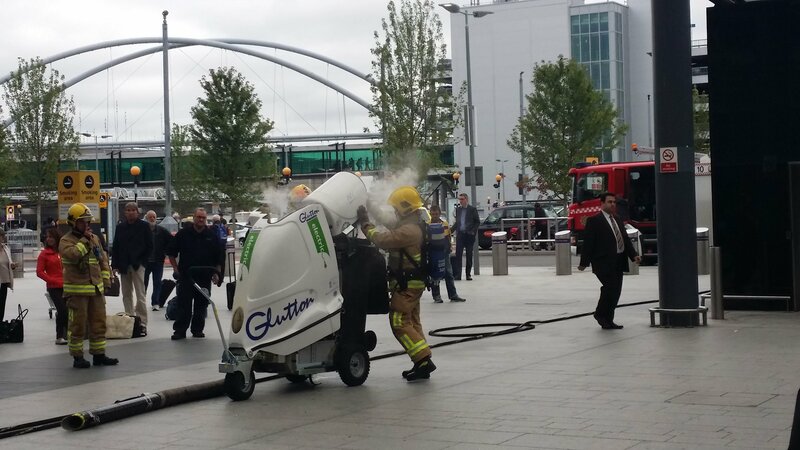 Fire at Heathrow Airport – in a cleaning machine. The fire brigade got it out of the terminal and we were able to get inside, and straight to the gate to catch my flight. 12 hours or so later we approached Hong Kong Airport. Early morning in Hong Kong was great and I finished the last couple of things on my “Pre-DJI” to do list (like getting a haircut), had lunch in Pizza Express (not exactly authentic local cuisine I know!) and headed towards the border with China. I came across this DJI outlet in the shopping mall at the Windows Of The World metro stop. Despite the DJI factory being in Baoan, around 30 minutes away, the hotel DJI suggested was right next to their head office. 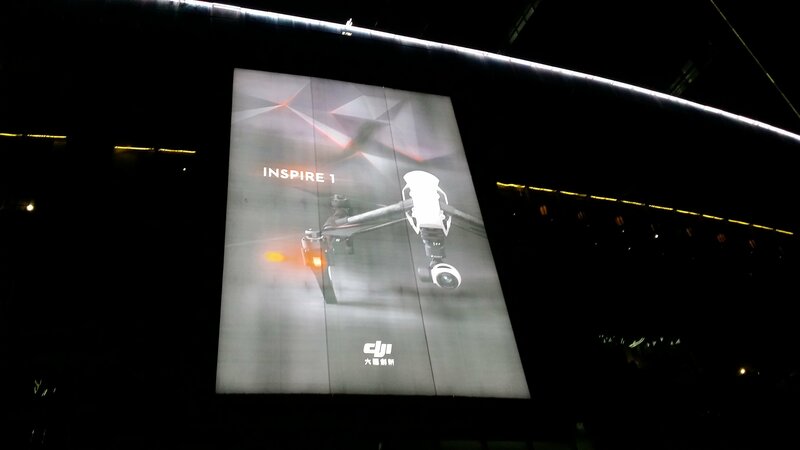 It didn’t take much exploring to find DJI. 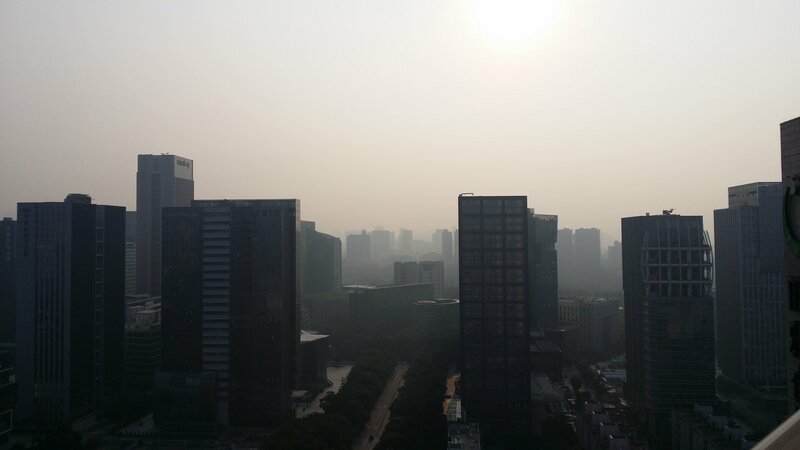 The next morning I awoke to an impressive view across Shenzhen, overlooking DJI’s HQ, and nice sunny and warm weather. Skyworth Semiconductor Building – DJI’s HQ – the view across Shenzhen. 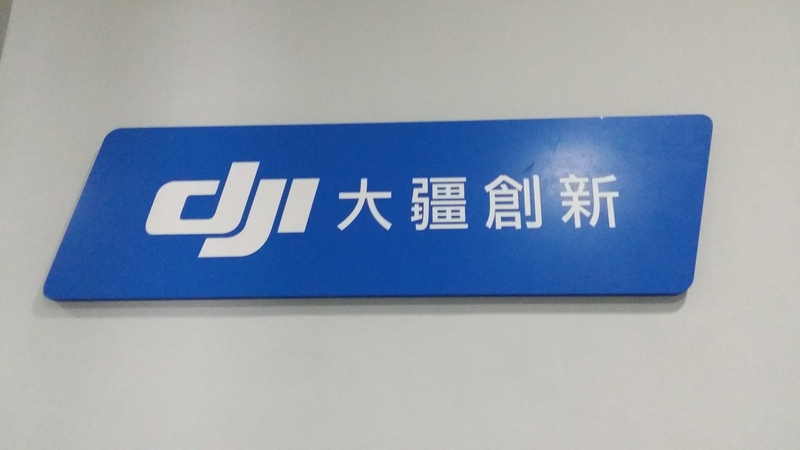 The first day of the course was at DJI’s old base, now their service centre, in Hong Kong University’s Shenzhen campus. A place I’d been 3 years previously…although it took me a while to work that out! The 15 minute walk from my hotel to the University was nice and warm and filled with interesting things to look at. Breakfast China style; an electric scooter with a flat back, gas fired wok, and ingredients. 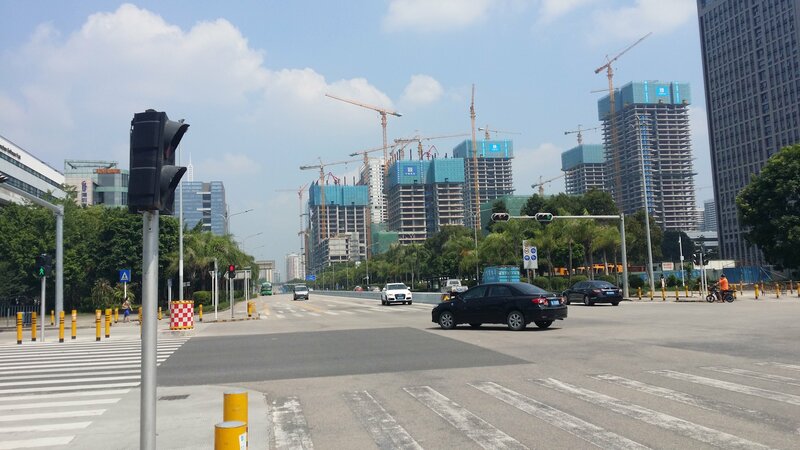 A spot of building in progress in Shenzhen. 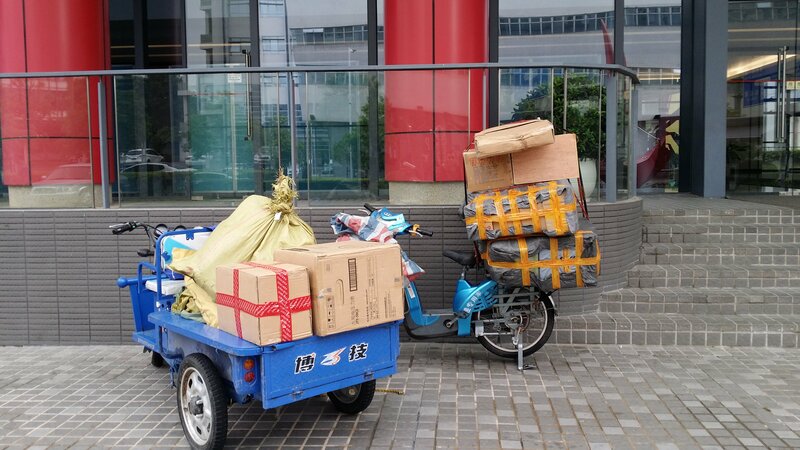 Parcels arriving by electric scooter/ truck at Hong Kong University, Shenzhen campus. The morning was spent with my Russian and Korean counterparts, and the head of service for DJI, explaining what we’d be doing during the course, where the nearest McDonalds was, where beer and “pretty ladies” could be found (What do they think of us Westerners?) and what to do if we missed the minibus. In the afternoon it was onto the minibus and to the factory in Baoan. 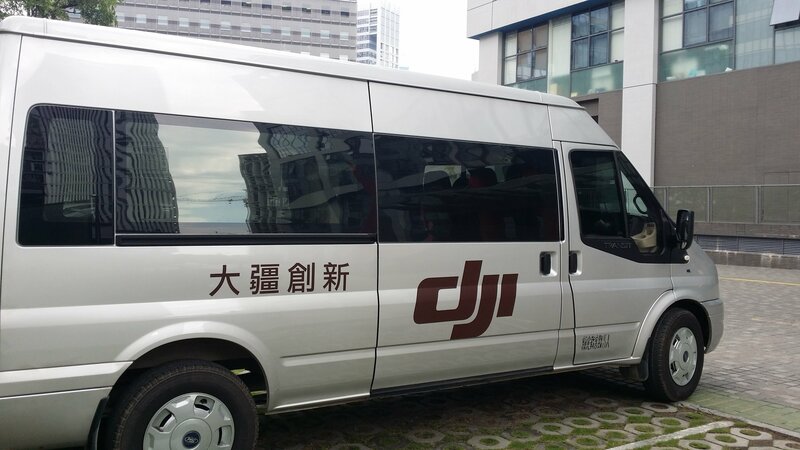 DJI staff minibus which took us to the factory in Baoan each day. Unfortunately my photos stop at this point… The reason? 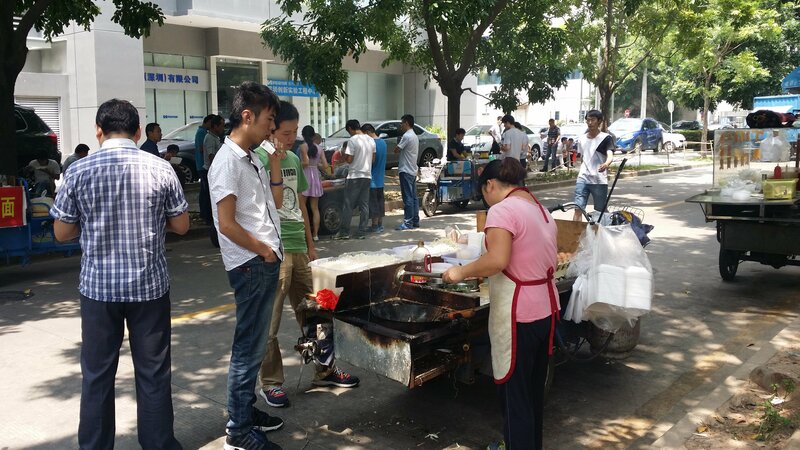 Phones and tablets are not allowed on to the DJI factory premises. (If you’re desperate to see the inside of the factory this article has some video from an Inspire 1 camera test which wasn’t wiped: http://motherboard.vice.com/read/found-test-footage-from-inside-a-chinese-drone-factory). Over the course of the first week we got to know the Inspire 1 very intimately. 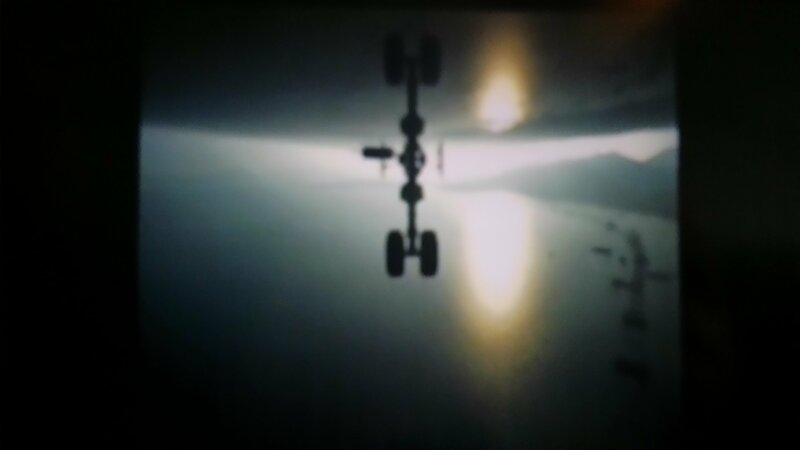 We could each disassemble an Inspire 1, completely, and put it back together again almost blindfolded. Think movie-soldier disassembling, cleaning and re-assembling his rifle – that was us. We were like a crack international team of navy SEALS. Navy drone-repair SEALS. It was great to see exactly how the people who designed these machines make them new again. The special procedures, tools and jigs will be very useful for us at Drone Doctor. 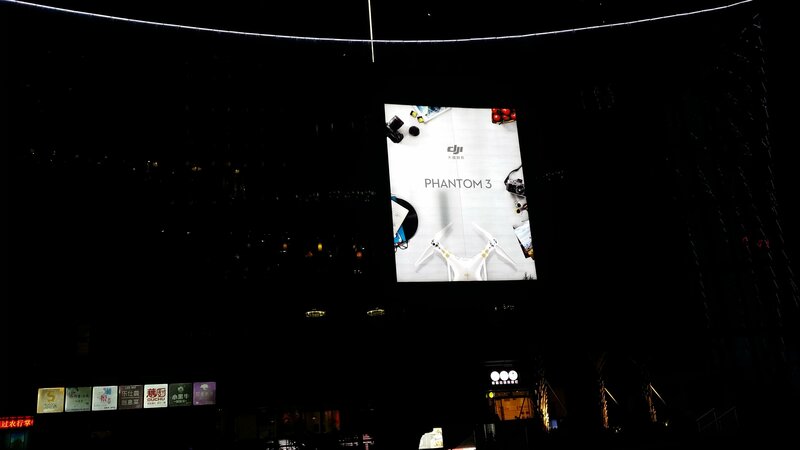 The second week was Phantom 3 training. It’s a very different aircraft but there are many similarities and we followed roughly the same routine to learn to diagnose every fault with an aircraft, disassemble and repair the Phantom 3, then test fly it, then quality control test it. With so much soldering involved in re-shelling a Phantom 3 the second week’s exam was as much about shiny soldering joints as anything else – and I’m pleased to say mine were nice and shiny. 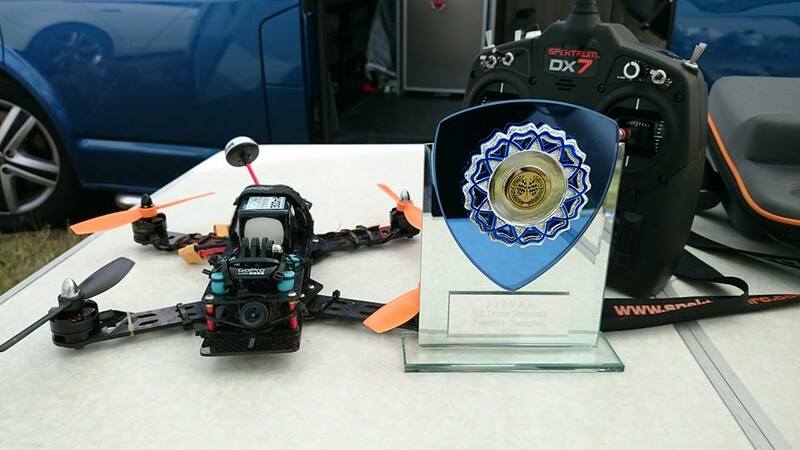 DJI were tremendous hosts and we’re very grateful to them for allowing us the opportunity to become the first DJI Recommended Service Centre in the UK. 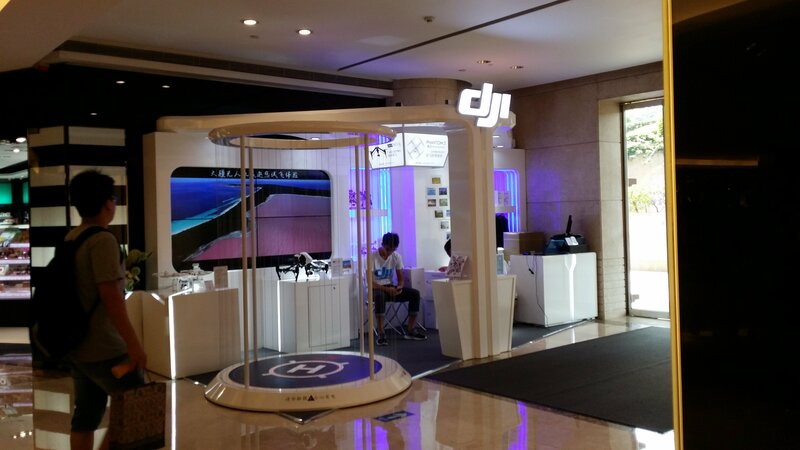 We’re the first company ever to be trained by DJI in China and that’s a bit of an honour. 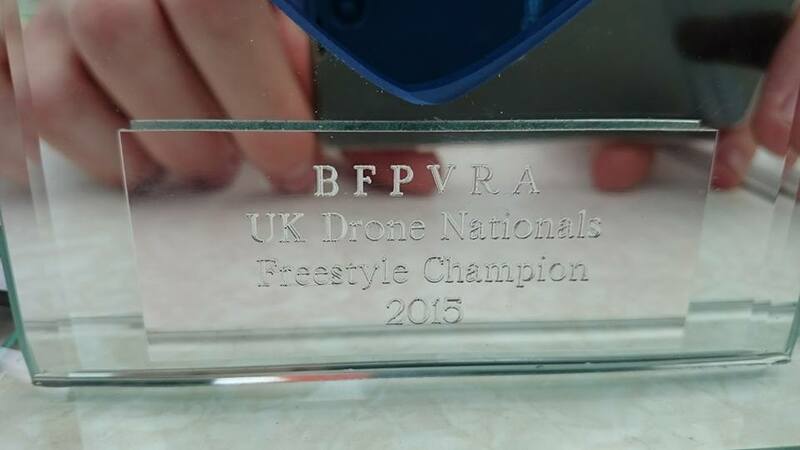 Thank you DJI! 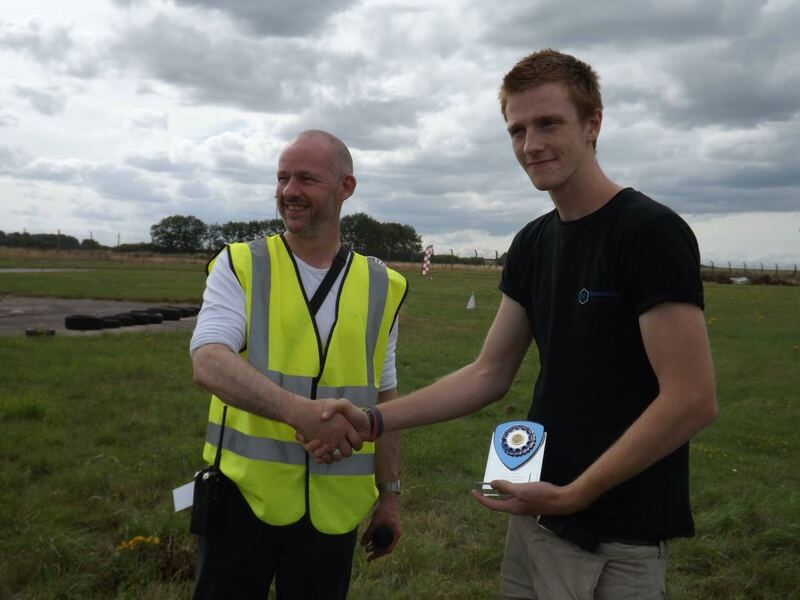 What a fantastic International Drone Day event at the Miniature Airshow in Rottingdean yesterday! 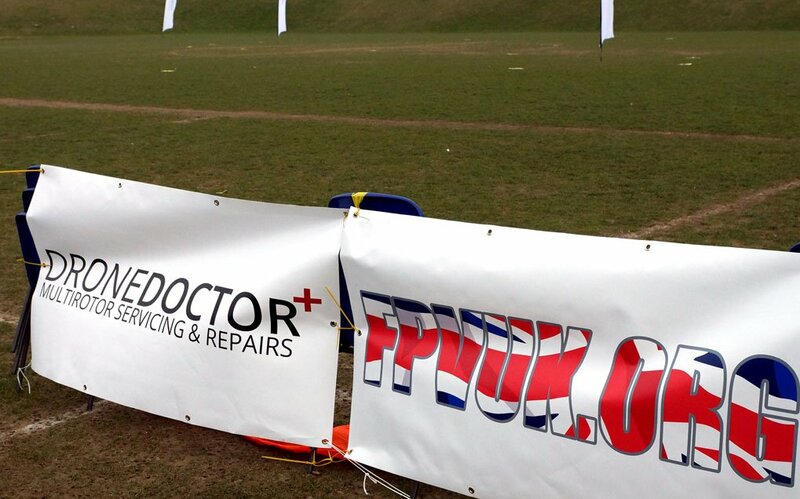 Drone Doctor is very proud to have sponsored this superb event which showcased all sorts of flying machines from 250 size racing quads hurtling around the course to the Sussex Police quadcopter with its thermal imaging camera.